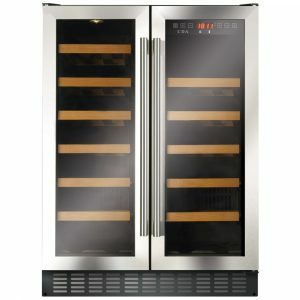 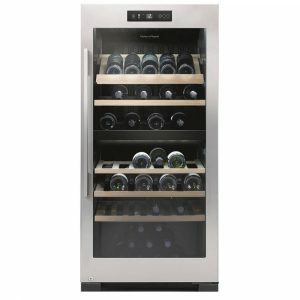 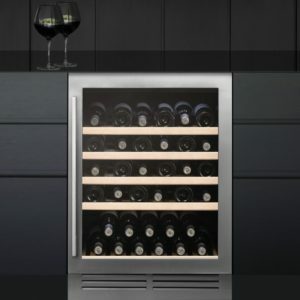 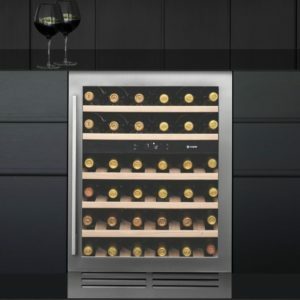 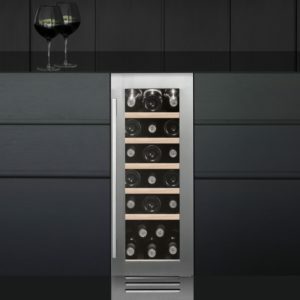 This fantastic wine cooler from Smeg is perfect for keeping all your favourite tipples in top condition. This model is hinged on the right, with a clean, modern design and stainless steel handle. 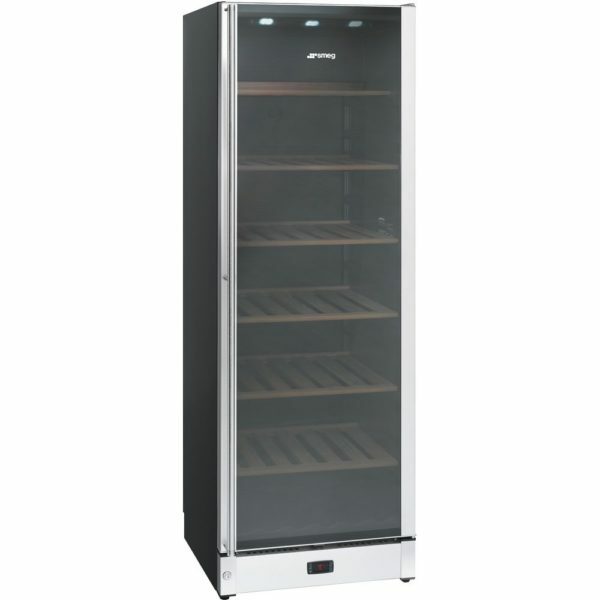 There are 2 temperature zones with space for up to 115 bottles, with adjustable wooden shelving. 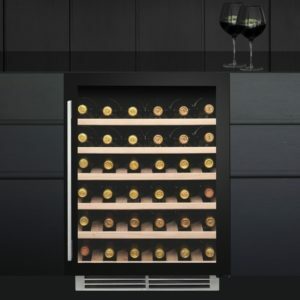 You can be confident of keeping your wine in great condition thanks to the UV protected glass and anti vibration compressor, there are even carbon filters to keep the air purified.